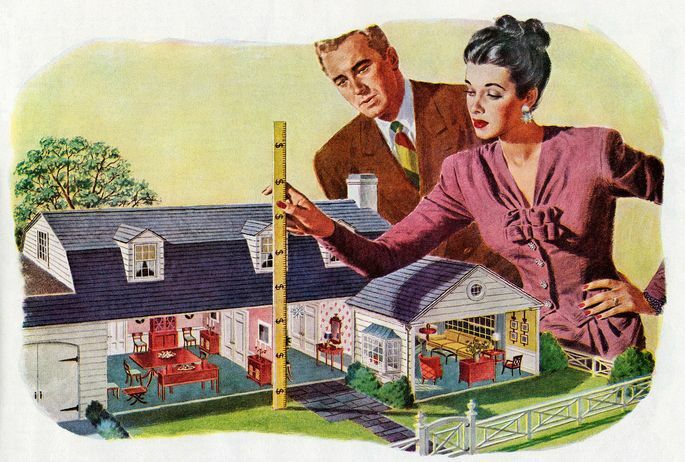 What is your end goal for downsizing your house? When deciding to downsize, there are a few options to consider in what’s most important. Some choose to downsize in order to simplify their belongings and have the freedom to travel, while others are more focused on being close to loved ones and having that support system. Then there are community options to consider as well. While some may prefer a more social setting with a community that provides collective events to meet people, others may look for a more quiet and private community. Making these housing decisions before you downsize will be a big help in narrowing down living options. What is my budget for buying a house? If retirement is just beyond the horizon or those wonderful golden years are already in the palm of your hand, income may be an issue. One major upside to downsizing your home is that it has the potential for making you a nice profit. It’s crucial to consider whatever expenses, current and future, that you could encounter. This could include the cost of your new home, medical bills, health and life insurance, estate planning, etc. A rule of thumb to keep in mind is to spend no more than 30% of your monthly income on housing. However, if you’re planning on downsizing, it’s recommended to be less than that. Will I make a profit if I sell my house now? Lucky enough, most of the time this answer is yes. If as a homeowner you’ve lived and maintained your current home long enough, you should encounter enough positive equity to put down a sizable down payment. Taking the current state of the housing market and location of your home is almost just as imperative to the amount of profit you’ll receive. Unless you’ve accumulated a significant amount of debt to pay off, chances are pretty positive that you’ll be able to buy your next home either outright or with a substantial down payment. Is location really a factor? Location, location, location! Alright, so I’m sure most of us have heard that phrase before, but location truly does play a key factor in both situations of buying and selling. Depending on where you’re currently live t where you’re planning on moving, there could be a chance for a larger selling profit or a cheaper house to buy. In markets with more of a selling demand such as Denver or San Francisco, home owners have a better chance at selling their house higher than buying cheaper. However, if you’re moving from a pricier area of the country such as California or New York, there’s a solid chance that homebuyers will get a cheaper price.